The Mod Rex Polyrhythmic Modulator Pedal from Electro-Harmonix is equipped with four independent modulation sections synced in time. 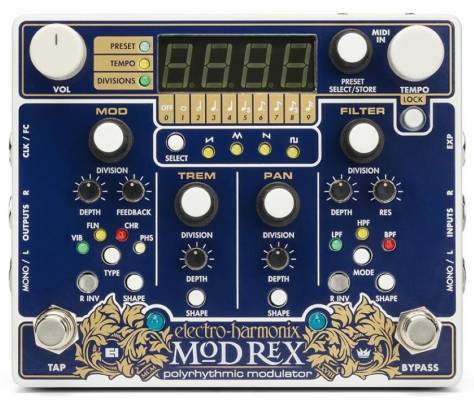 MOD delivers vibrato, flanger, chorus or phaser. TREM features tremolo. 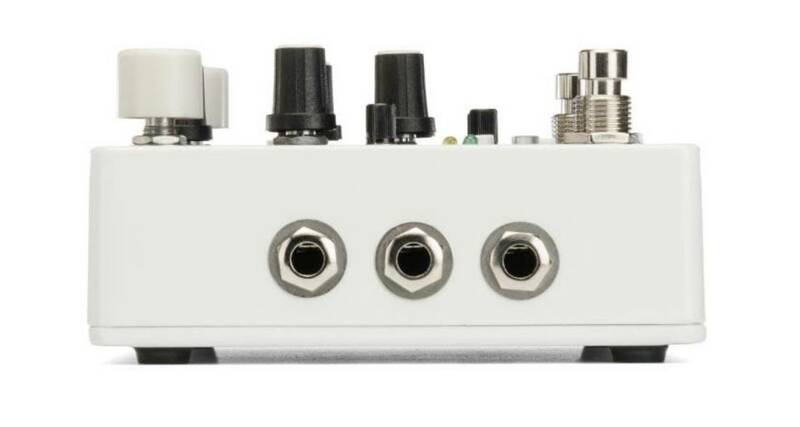 PAN modulates between left and right in stereo operation and FILTER offers a choice of a modulated LPF, HPF or BPF. Each section provides four LFO shape options plus dedicated functions to maximize the Mod Rex's expressiveness and control.